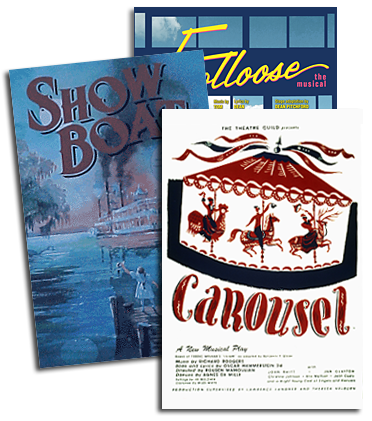 In October, as SHOW BOAT sailed majestically onto Broadway, New York played host to concert versions of two other Kern & Hammerstein musicals - less well-known than SHOW BOAT, but each with a standard or two to match the best of that score. MUSIC IN THE AIR, featuring "The Song is You" and "I've Told Ev'ry Little Star," was presented at the Lamb's Theatre on October 16 and 17, and VERY WARM FOR MAY, which introduced "All the Things You Are," followed with six performances at Carnegie Hall's Weill Recital Hall beginning October 19. MUSIC IN THE AIR, an affectionate valentine to operetta and a loving send-up of show folk, was given a complete rehearing of its original 1932 production. Directed by James Hammerstein, with twin piano accompaniment conducted by James Stenborg, it was produced by BT McNicholl for "Musicals In Concert." Hammerstein was familiar with MUSIC IN THE AIR even before this assignment - he had served as the 2nd Assistant Stage Manager on the 1951 Broadway revival, which his father, the musical's author, had directed. More recently, James directed a well-received concert staging of MUSIC IN THE AIR for Ian Marshall Fisher's "Lost Musicals"series in London in 1993. For this presentation, Hammerstein directed a talented company that featured John Fiedler, Keith Jurosko, Dennis Kelly, Emily Loesser, Lynne Wintersteller and Jason Workman. 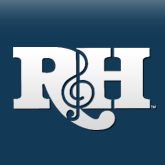 Reflecting the philosophy behind "Musicals in Concert," Hammerstein not only had his cast perform the entire script and score, but also strove to re-create as much of the original blocking as possible. In the words of New York Magazine's John Simon, "Hammerstein's savvily sassy direction and a most felicitous cast made a semi-staged version feel fully staged." In the New York Post Clive Barnes found the Kern score "beautiful," and called "Hammerstein's Molnaresque backstage story...a lot of fun." Daily News critic Howard Kissel praised both the production and its cast: "You came away loving [MUSIC IN THE AIR]," he said, "especially in the hands of [its] performers." His kudos to the company were echoed by Newhouse News Syndicate's Michael Sommers, who decreed MUSIC IN THE AIR "one sweet show, neatly done." In contrast to the theatrical presentation of MUSIC IN THE AIR, the six performances of VERY WARM FOR MAY that followed later in the same week were offered more in the style of a grand recital. While the plot of this boy-gets-girl summerstock romance still came through, the emphasis was definitely on the score. John McGlinn served as conductor and director, presiding over a 26-piece orchestra. He was joined by a stellar black-tie company drawn from the world of opera (Elizabeth Futral, John Hancock), Broadway (GRAND HOTEL's Brent Barrett, DAMN YANKEE's Gregory Jbara) and television comedy - SATURDAY NIGHT LIVE's Jon Lovitz scored as the pontificating director Ogden Quiler. VERY WARM FOR MAY may have been less than successful in 1939 ("Not so hot in November," groused the New York Times' Brooks Atkinson), but it was eagerly received by today's quality-starved music critics. "Leave it to these masters to come up with a song that would land on anybody's top five list of great standards," opined Irv Lichtman of Billboard, referring to "All the Things You Are." Mary Campbell of Associated Press called VERY WARM FOR MAY "charming, melodic, amusing and...entirely delightful." "The entire score is a delightful one, and let's hope that McGlinn gets it recorded." Judging by audience response to both musicals that week in October, Sommers is not alone; recordings of these two scores would be welcomed by scholars and fans alike. In the meantime, through a grant provided by The Rodgers & Hammerstein Organization, the October reading of MUSIC IN THE AIR was videotaped by the Lincoln Center Library's Theatre on Film and Tape archive, marking the first recording of any kind for the musical's 1932 version.